Rare caramel issue from 1909, the Dockman & Sons set shares designs with several other closely related candy issues (Croft's Candy, Nadja Caramels, etc.) from the same era. 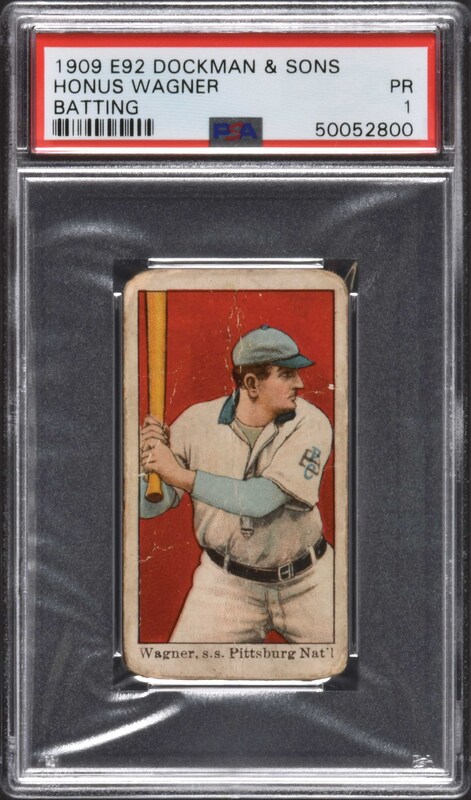 Graded POOR 1 by PSA, the offered example of Hall of Famer Honus Wagner (batting pose) is a very pleasing low-grade example. It is easy to see why this is recognized as one of the most striking and classic of all Wagner cards. Bright and clean, with outstanding registration, vibrant colors, and well centered. Honest corner wear and heavy creasing are responsible for the assigned grade. The text on the reverse is boldly printed. 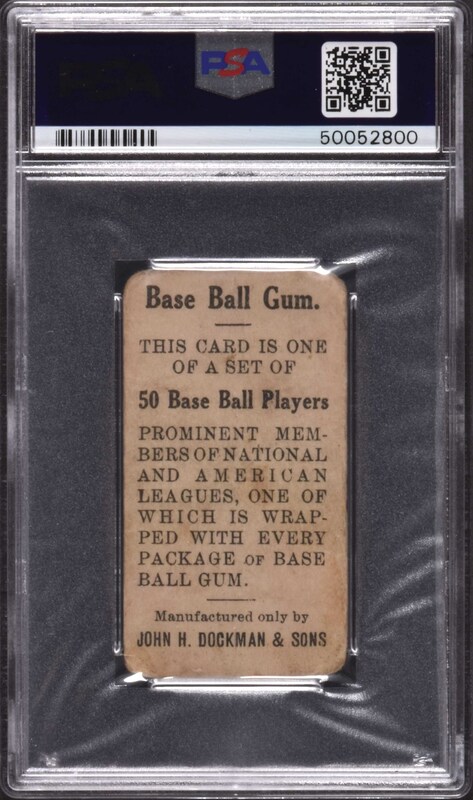 This is a very presentable example of the legendary Honus Wagner from this rare, early twentieth-century candy issue. Reserve $300. Estimate (open).